A lonesome Nosferatu-like vampire stars in this decades-old Pet Shop Boys music video—a somewhat unusual appearance in a love song, but that’s nothing compared to the identity of the actor playing him. Give up? As Wikipedia reveals (and the Pet Shop Boys, themselves, via Twitter) it’s noneother than Oscar-nominated actor, Ian McKellen (b. 1939)—who, despite a long, illustrious career on stage and screen—is probably now best-known for starring as Magneto in several X-Men films and Gandalf in the Lord of the Rings trilogy. A different mix of ‘Heart’ is released as a single on March 21st and reaches #1 in the UK. “It’s a real disco song – the idea of ‘heartbeat’ the beat of the record and the beat of your heart. It’s actually pretty corny, to be honest, but I think the words are quite sweet and sincere”. The video, shot in Yugoslavia, was a resetting of the Dracula story with Ian McKellen in the title role. 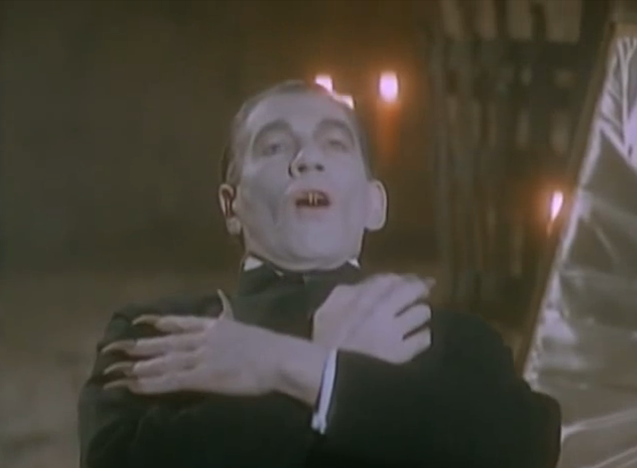 To promote the single (the fourth and final one released from Actually), the Pet Shop Boys starred in what is perhaps their most cinematic short-form video, featuring Ian McKellen as a rather creepy vampire closely modeled on Dracula. The plot of the video is very loosely based on the 1926 [sic] silent film classic Nosferatu, itself based on Dracula. . . . The vampire seduces Neil’s young bride and absconds with her, leaving Neil, as he has put it, “bitter and twisted”—an excellent example of that genre of elaborate videos that have only a tenuous connection to the song itself. I’d like to thank my good friend, Angie Watkins, for introducing me to this clip via her Facebook group, “HIGHGATE! HIGHGATE! HIGHGATE!” and for leading me on the (admittedly brief) search for the vampire’s identity. Next article Twilight Fan Marries Robert Pattinson Cut-Out? Awesome post Anthony as usual! 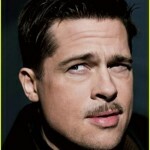 I love your music ones. X-man, wizard and vampire, what a resume lol. Thank you, Erin! And yeah, tell me about it! Ian’s all been all over the shop! Ian Mc Kellen has been active in gay rights for decades, and fronted Gay Lib in the 80’s. The Pet Shop Boys have been centerpiece gay band in the UK for about the same amount of time. McKellen has always done comic and camp appearances at Pride and in connection with gay bands: his recent collaboration with Scissor Sisters on the dance track ‘Invisible Light’ was another standout. This was another tongue-in-cheek performance: his vampire in the video might as well be singing to Tennant, with the woman used as a proxy, and with the vampire imagery used in its customary was as a way of hinting at forbidden attraction.